I find all sorts of interesting things in some of the files of the cases I am researching. Take for example what I found in 2012 on a research trip in New York City. Going through the records of perhaps the most infamous (or at least widely-reported) of all the gang killings during the mid to late 1950s – the killing of Michael Farmer – I found something I had never seen before. Nestled in an envelope were the stenographer’s tape for the statements of the defendants in the case. This was the first time I had seen such a thing. They were long brown strips of paper with different letter combinations on them. These are the actual stenographer’s tape of the official statement each defendant made to the District Attorney and the police shortly after they were picked up for Farmer’s murder. I was able to find some pictures of a stenographer’s machine from the 1950s (see below), but I can’t say for certain which machine was used in taking the statements of the defendants in the Michael Farmer case though. As far as I can tell, here is the process of how it would work, from arrest to report. First the police would pick up a defendant for questioning. If the boy would make a confession, the police would then call in the District Attorney and get the official confession down on paper with the taking of notes by the stenographer. 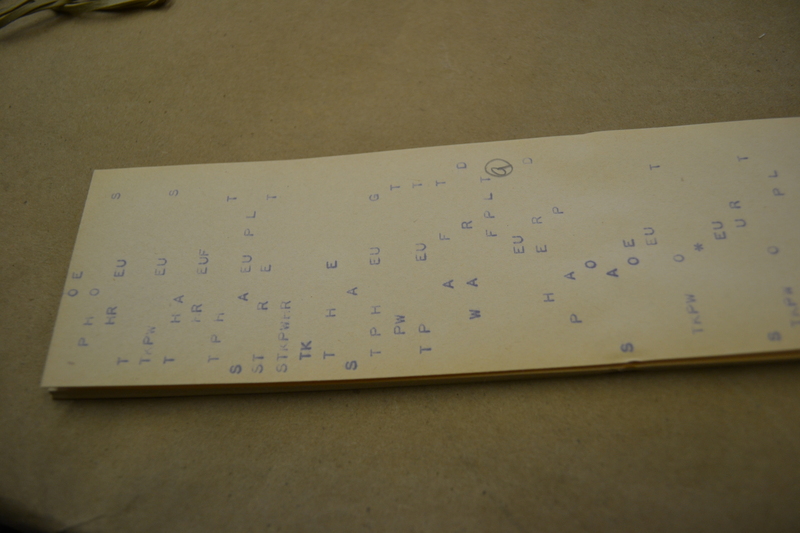 Once the statement was completed, the stenographer would take the tape that you can see at the top of the page and “translate” it into full English words for the official record giving the official statement to police and DA. 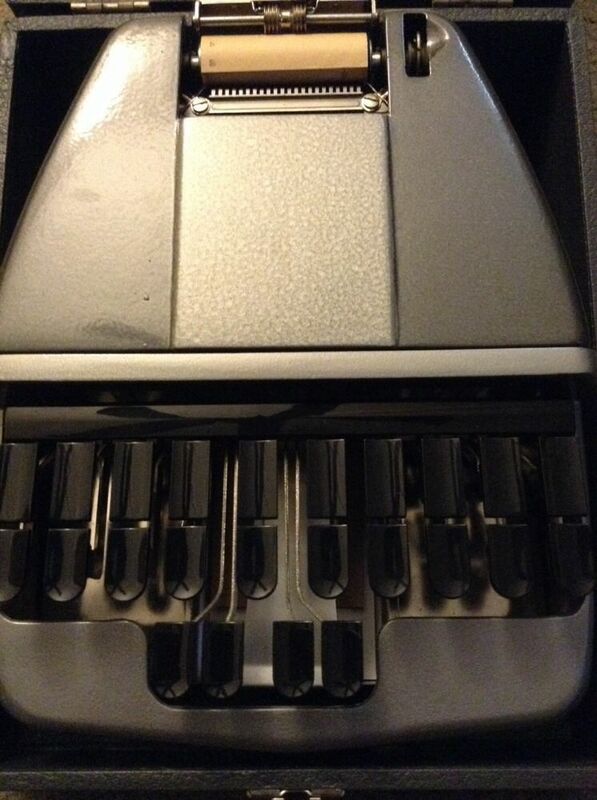 LaSalle Stenographer machine from 1940s and 1950s in good condition. Note the keys are blank. 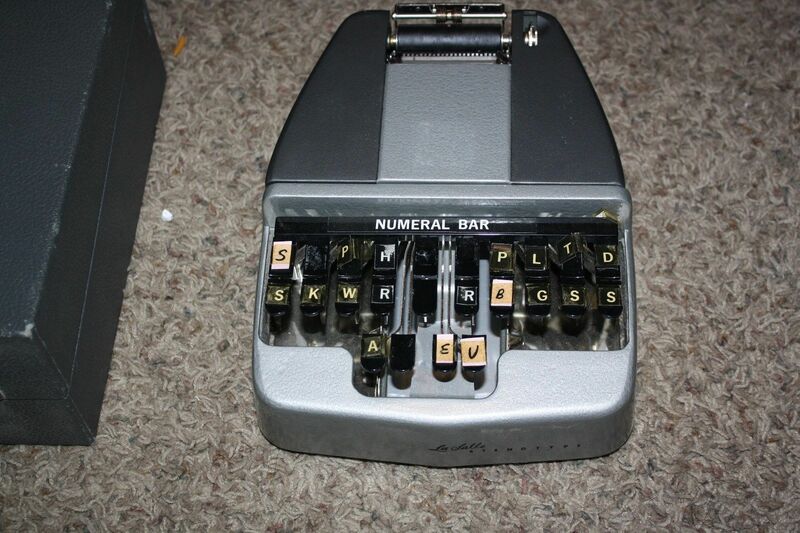 The stenographer keyboard can be seen above. 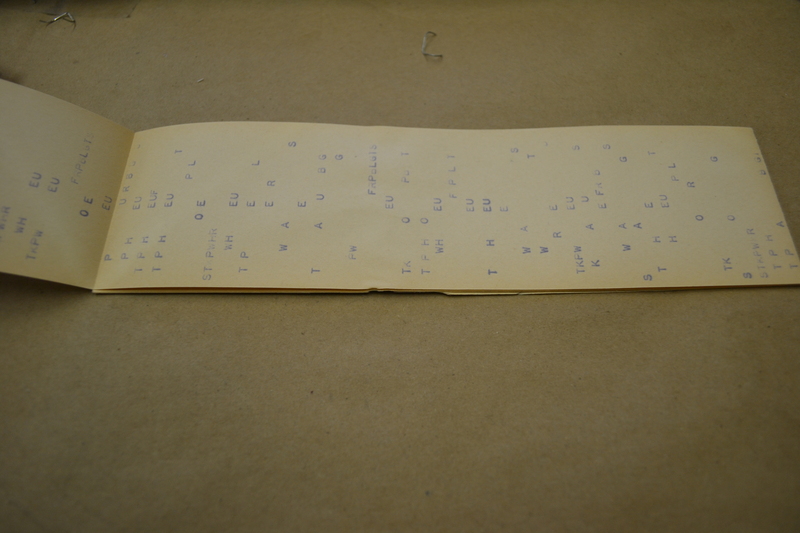 Closeup of the blank keys of the LaSalle Stenographer machine from the 1940s and 1950s. It would be a machine like this that the statements of the defendants of the killers of Michael Farmer would have been taken. 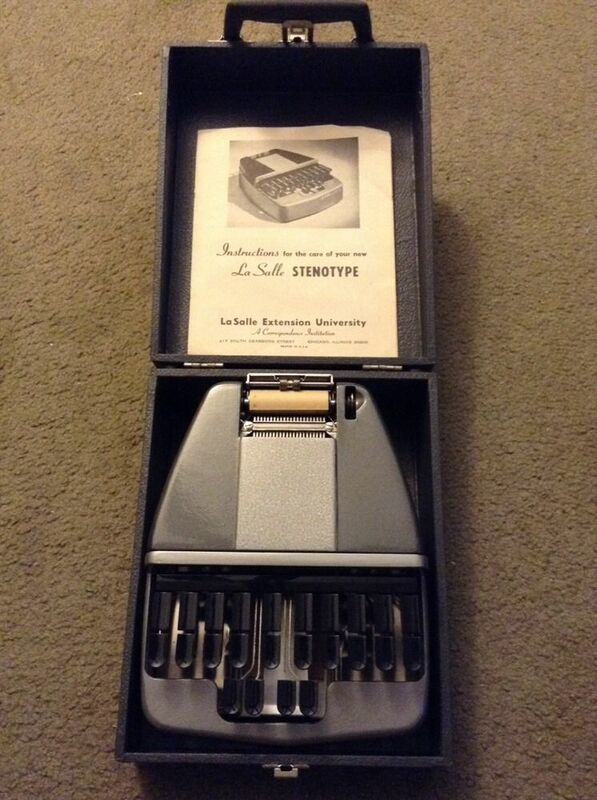 LaSalle Stenographer machine. Note that someone has taped on the letters of the stenographer keyboard on the keys. 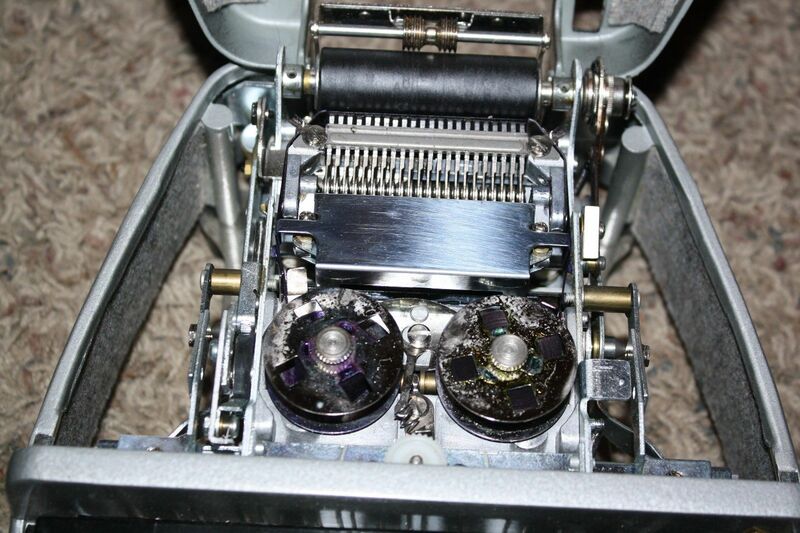 Interesting look inside a LaSalle Stenographer Machine. This is where the ribbon would be installed (for the ink to go on the tape).